Tonya J. Hull of Plainwell, Michigan died Wednesday, April 30, 2008 in Kalamazoo. 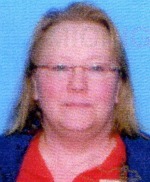 Tonya was born January 7, 1958 in Allegan to Duane and Beverly (Piffer) Thomson. For many years she was employed with Meijer. Surviving are her son, Nathan Hull of Portage; 2 sisters and 2 brothers, Terri Wrobleski, Tracey (Jim) Yoder, Pete Thomson and Mike (Carla) Thomson; many nieces and nephews. She was preceded in death by her parents; her daughter, Angie Hull; and 2 brothers, Tom and David Thomson. Cremation has taken place. A graveside service at HigbeeCemetery, Ionia, will take place at a later date. Fred E. Wolf of Otsego died Saturday, April 26, 2008 at his home. Fred was born January 7, 1950, in Paw Paw to Fred and Margaret (Charles) Wolf. He was a 1968 graduate of Otsego High School and had attended Western Michigan University. For 25 years, he was employed with Menasha Corporation in Otsego and was a member of the Otsego Fire Department. Fred loved going to the Upper Peninsula. He also enjoyed being in his woods and cutting firewood for his friends. Fred enjoyed hunting, shooting clay targets and spending time with his grandson Chase. On May 3, 1969 in Richland, he married Sandra Austin, who survives. Also surviving are his daughter, Becky (Jake) Wolf of Otsego; a grandson, Chase Leonard; 2 sisters, Sue (Jim) McGowan of Lawrence, Sally (Leon) Thompson of Florala, Alabama; several nieces and nephews. He was preceded in death by his parents. Cremation has taken place. Friends may meet his family Wednesday from 6 to 8 P.M. at the Winkel Funeral Home, Otsego where a memorial service will be held Thursday at 11:00 A.M., Funeral Celebrant Bill Rose officiating. Memorial contributions can be made to the American Heart Association. Timothy Garth Baden, age 51, went home to be with the Lord on his birthday, April 25, 2008. Tim was the beloved son of Garth & Eileen Baden. Tim was the husband of 18 years to Wendy (Steinke) Baden and the loving father to Michelle, Timothy and Cassandra. Also surviving are his brothers-in-law, Rick (Kandy) Steinke, William Steinke; his nephew, Rickey Steinke; father-in-law, Gerald Steinke; grandmother, Alvina Steinke and many cousins, aunts and uncles. Preceding him in death were his mother-in-law, Joyce Steinke, grandparents, Herman Steinke, Leo and Alta Robinson, Cornelius and Annetta Baden and several aunts, uncles and cousins. Tim loved the snow, snowmobiling, going to Mackinaw Island and spending Saturdays in the summer at Kalamazoo Speedway. He was a very outgoing, lovable person called “John Candy” by many. Friends may meet with the family from 2-4 P.M. and 6-8 P.M. Monday at Winkel Funeral Home. A graveside service will be held at Mountain Home Cemetery, Otsego, Tuesday at 11:00 A.M. with Pastor Curry officiating. Those desiring may make memorial contributions to Wings of Hope Hospice of Allegan County. 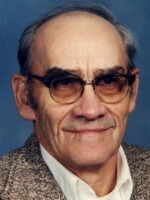 Robert D. “Bob” Sheppard of Otsego, MI passed away Wednesday, April 23, 2008 in Grand Rapids. Mr. Sheppard was born August 25, 1928 in Kalamazoo, the son of Addison and Marie (Otto) Sheppard. Bob was a tool and die maker for Parker Hannifin Brass Manufacturing Co. for over 25 years retiring in 1990. He married the former Winona Mottor in 1946 in Kalamazoo. Bob enjoyed being a hobby farmer and riding his motorcycle. He is survived by his wife; 5 children, Linda (Dave) Ashton of Gobles, Connie (John) VanKley of Grand Haven, Debra Sheppard of Plainwell, Dan (Karen) Sheppard of Washington; Beth (Bryon) Swynenberg of Otsego; 12 grandchildren; 16 great-grandchildren and 1 great-great-granddaughter. He was preceded in death by a sister, Louise SanClemente. A graveside service will be held Friday at 10:00 AM at Mount Ever-Rest Memorial Park, Kalamazoo, Pastor Tim Marsh officiating. Those desiring may make memorial contributions to the Alzheimers Association or to St. Mary’s Hospice of Grand Rapids. Kevin Abbotts Landmesser of Plainwell, MI passed away Saturday, April 19, 2008, at his home. Kevin was born October 3, 1950 in Morgantown, West Virginia, the son of Doris Abbotts-Bowman. Kevin’s family was very important to him and he also loved animals. He graduated from OtsegoHigh School where he had been a wrestler and played football. 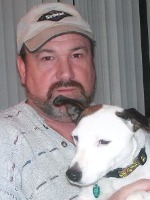 Kevin was an avid fisherman and hunter and enjoyed teaching others about both sports, and he also shared his vast knowledge of construction, masonry, flatwork and a variety of other skilled trades with many people. He was a very talented man. He is survived by his children, Shelly Landmesser, DVM, and her fiance’ Ingemar Cannistraci, of Cambridge, NY, Ginny (Marty) Hughes of Plainwell and Kevin S. Landmesser of Charlotte, NC; his grandchildren, Lindsey, Justin and Merry; 3 sisters and 1 brother, Lynn, Beth, Debbie and Jim and their families. He was preceded in death by his mother. Friends may meet with the family Wednesday from 5:00 to 8:00 PM at Winkel Funeral Home where services will be held Thursday at 11:00 AM. Those desiring may make memorial contributions to Big Brothers and Big Sisters of Kalamazoo. 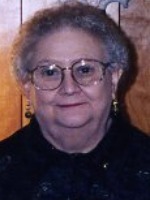 Jeanne L. Dickerson passed away April 18, 2008 in Alamo, MI. Jeanne was born January 15, 1920 in Kalamazoo, the daughter of George C. and Opal C. (Matthews) Early. On December 24, 1938 in Cooper, she married Thomas Webber Dickerson, who preceded her in death. Jeanne was a lifetime member of the Literary Club of Wayne, a member of the Garden Club of Wayne, the Wayne Congregational Church and the Cooper Congregational Church. She was a bookkeeper for National Bank of Detroit in Wayne and retired from Unistrut Corp. in Wayne after many years of valued service. Jeanne is survived by 3 children, David (Margaret) Dickerson of Austin, TX, Joel Dickerson of Troy, MI and Mary Ellen Dickerson of Wayne, MI; seven grandchildren; five great-grandchildren, 1 sister Ellen Early Haskell of Kalamazoo. She was preceded in death by her parents, a brother, Robert L. Early and a grandchild, Christian Breck Wafer. Friends may meet with her family at the Cooper Congregational Church Monday, from 10:00 until the service time at 11:00 AM., Rev. Ray Steigenga officiating. Interment will be at West Cooper Cemetery. A dinner at the church will follow the interment. Memorial contributions can be made to the Cooper Congregational Church. 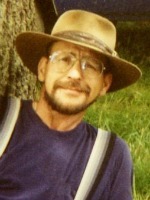 Otsego, where services will be held Saturday at 2:00 P. M., with his nephew, Rev. Robert Confer, Jr. officiating. Interment will be in WestCooperCemetery. Memorial contributions may be made to the Borgess Foundation/Borgess VNA and Hospice. 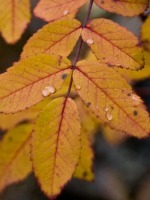 NancyAnn VanDerhoff of Otsego, Michgian, died Tuesday, April 8, 2008 in Kalamazoo. Mrs. VanDerhoff was born December 29, 1930 in Otsego to William and Ethel (Flickinger) Lucasse. NancyAnn was a member and past president of V.F.W. Post #3030 Auxiliary and a member of the Otsego Elks #1711 B.P.O.E. She enjoyed bowling and golfing, was an avid reader and a wonderful cook. On January 11, 1947 in Otsego she married Wayne VanDerhoff who died in 2005. Also preceding her in death were her parents; a granddaughter, Colleen Nicole Carney; and a sister, Darlene Rankin. Surviving are a daughter and two sons, LeAnn (Godwin) Davis of Columbus, GA, Richard (Sue) VanDerhoff and David VanDerhoff, both of Otsego; 8 grandchildren; 20 great-grandchildren. Friends may meet the family from 2 to 4 and 6 to 8 P.M. Friday at the Winkel Funeral Home, Otsego, where services will be held at 11:00 A.M. Saturday, with Rev. Shan Martin (pastor, Yorkville Community Church) officiating. Burial will follow at Mountain Home Cemetery, Otsego. Contributions in memory of NancyAnn may be made to Kairos Dwelling, Kalamazoo.